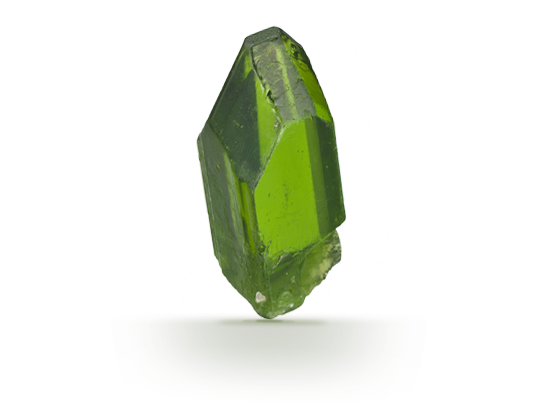 The ancient Egyptians mined peridot on the Red Sea island of Zabargad, the source of many large fine peridots in the world’s museums. 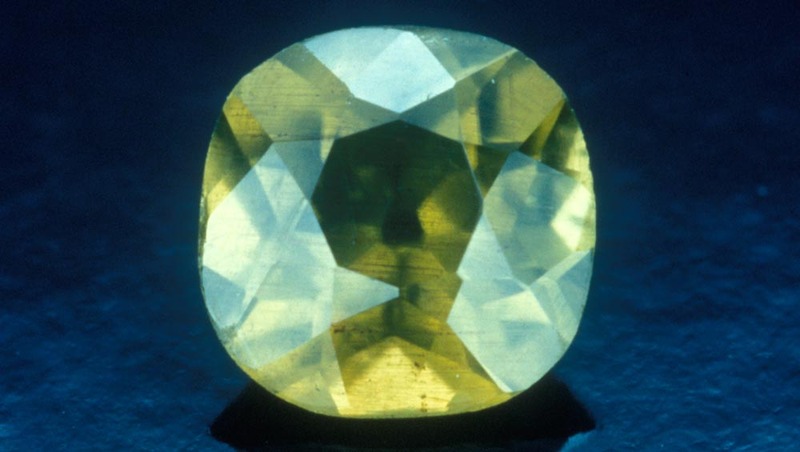 The Egyptians called it the “gem of the sun”. Today this gem is still prized for its restful yellowish green hues and long history. Large, strongly-coloured examples can be spectacular, and attractive smaller gems are available for jewellery at all price points. 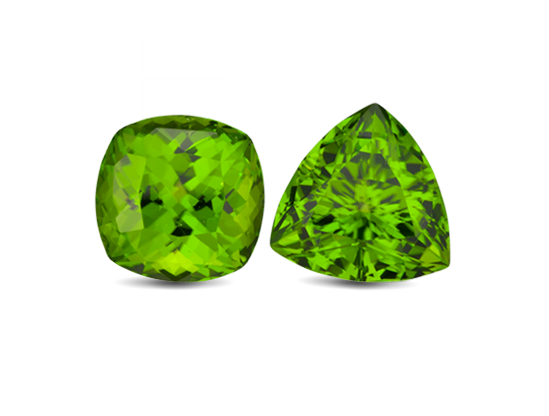 Peridot is the birthstone for August and the gemstone for the 15th wedding anniversary. 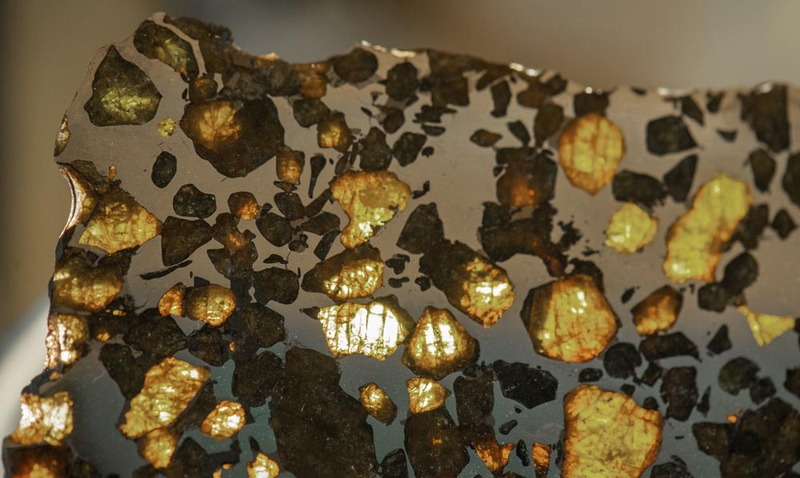 Peridot crystals are found in meteorites – some rare extraterrestrial crystals are even big enough to facet as cut gemstones. 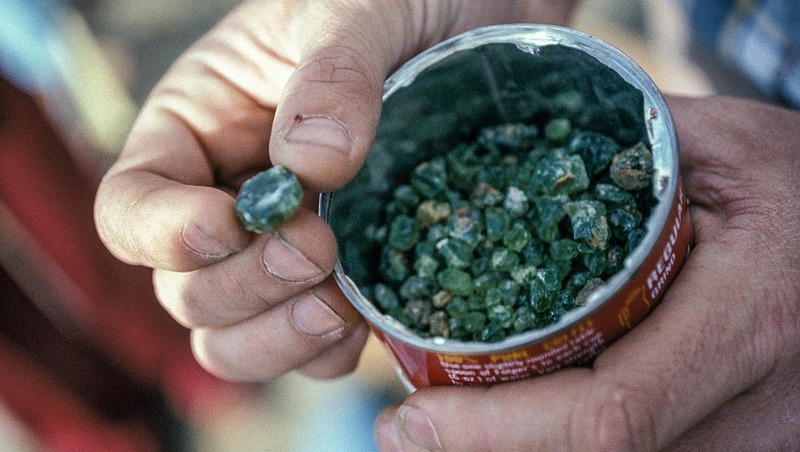 Most gems are coloured by impurities such as iron. Peridot's colour is intrinsically yellow-green. Higher-quality stones have an intense colour. 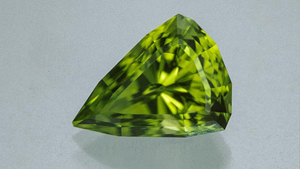 Peridot has extremely high double refraction – when you look closely through the gem, you can see two of each pavilion facet.